I have a Moleskine insert in my Foxy Dori traveler's notebook dedicated specifically to quotes and words of affirmation. I print and paste them into it or write them down. When I came across this one I immediately wanted to tattoo the words somewhere on my body. 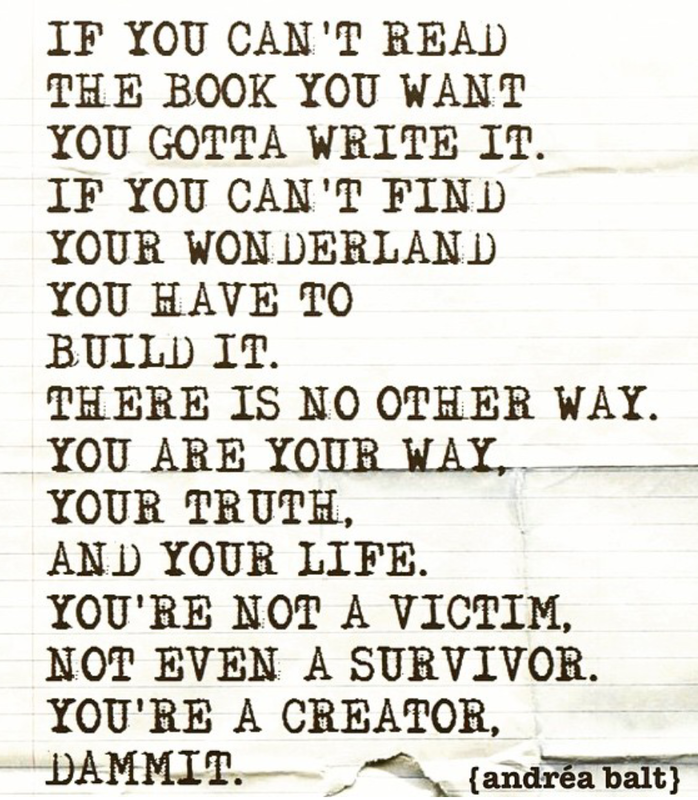 The quote aligns perfectly with my 2015 life manifesto and reminds me that I create my story. I envision Andrea Balt as a drill sergeant yelling into my ear when fear grips me as I watch the sheeple existing from one day to the next. It's okay that I do things MY way even if it totally goes against the norm.